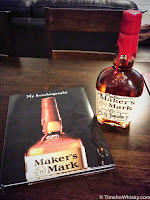 "Yummy, complex and with a long finish" - the three (paraphrased) goals for Makers Mark set when developing Makers Mark 46...but more on that later. 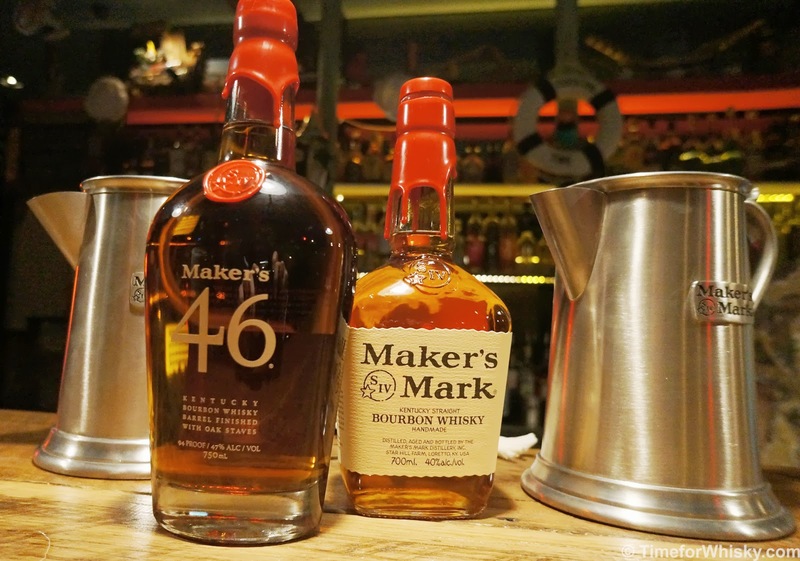 Makers Mark 46, the first real new whiskey from Makers Mark since 1958, is finally being launched in Australia following its 2010 release in the US. I've been a fan of Makers since discovering it at the age of 18 on a schoolies cruise (yeah yeah), and ever since trying 46 a few years ago on a US trip, I've been patiently waiting for its release in Australia. Finally that day has come. Bill Samuels Jr (son of Founder, former President and current Chairman Emeritus of Makers Mark) is currently in Australia to celebrate the launch, and is hosting a series of events around Sydney and Melbourne. I was lucky enough to be invited to an intimate session at Luke Reddington's popular Hello Sailor with about 20 other attendees, for an introduction to Makers Mark 46 (and some of Hello Sailor's excellent Mint Juleps). More interesting though were Bill's stories, including his time as a former engineer working on the Polaris missile (until a disastrous launch which may or may not have been Bill's fault) and his family's missed opportunity to become "truly loaded" (involving the earliest days of Coca Cola). Bill ran a brief tasting of Makers Mark 46, evidencing how well they'd hit the three aforementioned goals. Sweet and rich on the nose, with amplified vanilla characteristics, the palate is big and bold (no doubt partially due to its 47% ABV, compared with the 40% of regular Makers in Australia) with rich toffee and spice notes. The finish is definitely a long one, with smooth, spicy notes lingering long after the last sip. It's Makers amplified, and all the better for it. 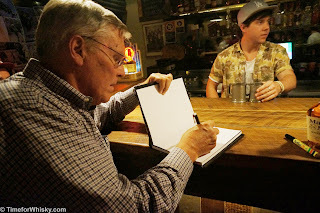 A genuinely funny and friendly guy, Bill stuck around to chat to the crowd and sign autographs. 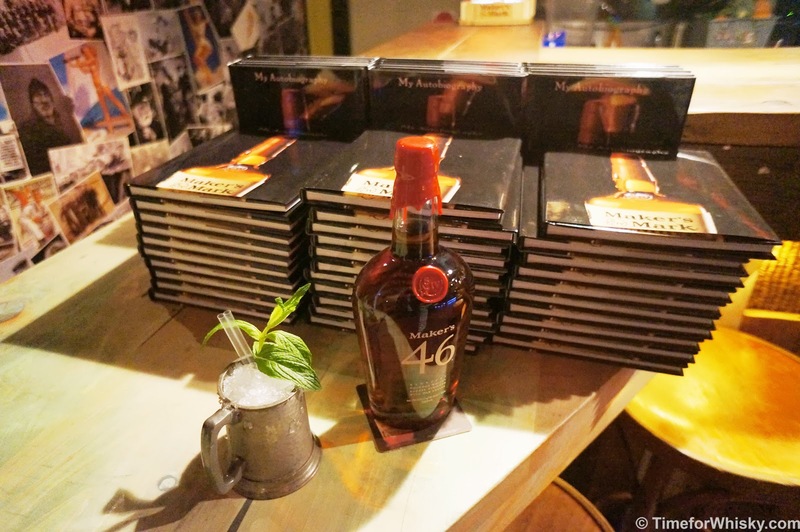 Copies of his book ("My Autobiography") were given out, along with Makers Mark ice ball moulds. A big thanks to the CCA folks for the invite. 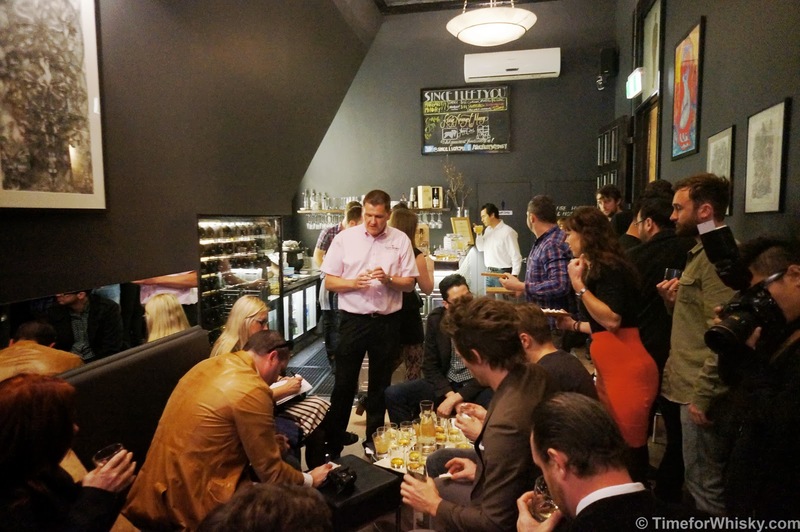 About 6 weeks ago I received an out of the blue (but very welcome) invite to an upcoming Glen Moray tasting at Since I Left You, a small bar in Sydney's CBD. Having only ever tasted Glen Moray in cask-strength SMWS guise (and having enjoyed it) I was keen to try some of their original bottlings. 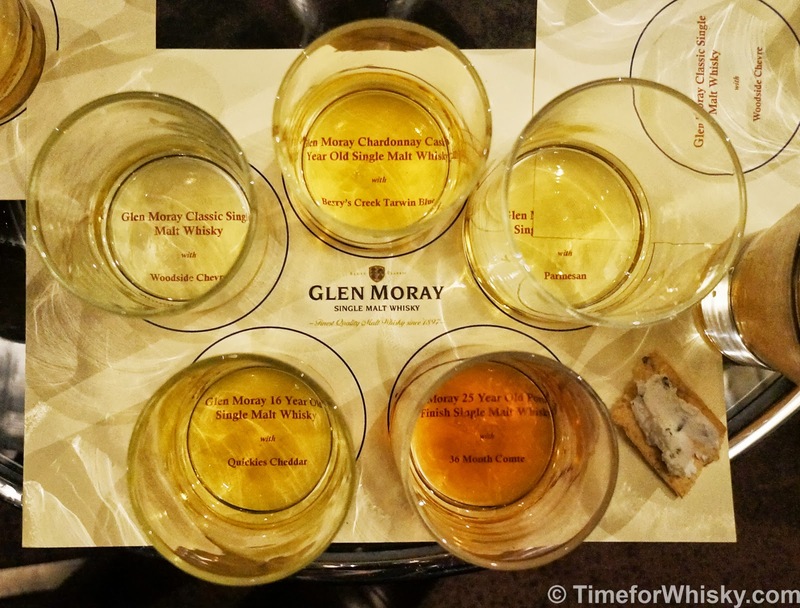 This wasn't just any tasting either - it was a whisky and cheese matched tasting, included Glen Moray's newly released in Australia 25 year old Portwood finish, and was led by distillery manager Graham Coull, who had flown out from Scotland for this event (and Whisky Live). How could I say no? 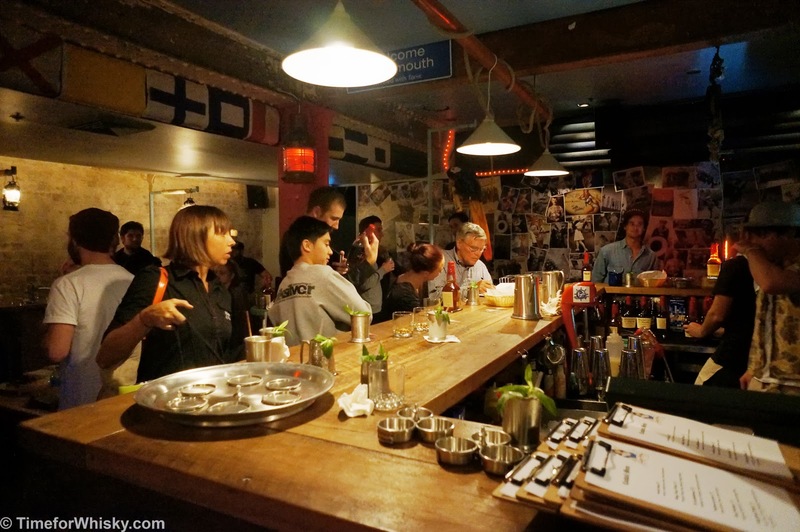 Arriving at Since I Left You was like walking into a community of bloggers (a gaggle of bloggers? Herd? Flock?) with our good friends and fellow Whisky bloggers D.T.W.C, renowned food and drink blogger Gourmantic and Sydney/Melbourne expert Carrie from Daily Addict all present (as well as a number of other food bloggers). We were greeted with a Highland Fizz cocktail on arrival (a standard but tasty mix of Glen Moray and ginger beer) and had a short while to catch up before the tasting started. 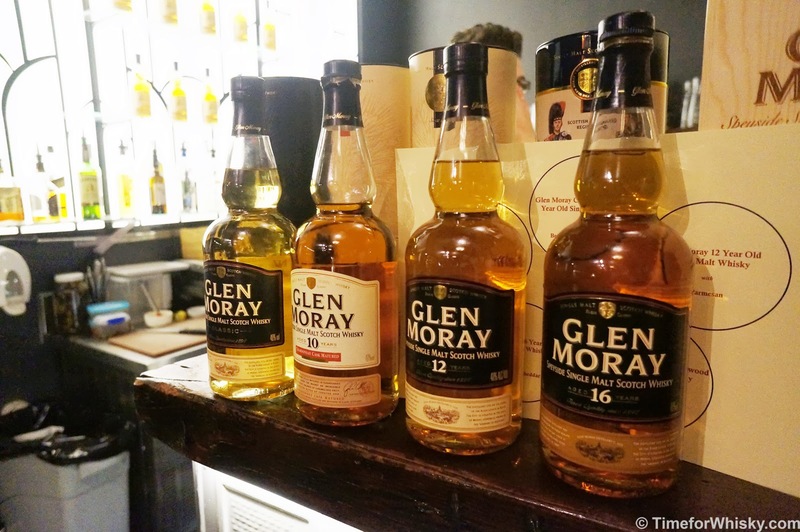 First whisky was the Glen Moray Classic (40% ABV), aged for between 5-9 years. A youthful and lively whisky, with a citrus nose, fruity floral palate and a short finish. The matched cheese was a creamy goats cheese, which drove up the citrus notes in the whisky. 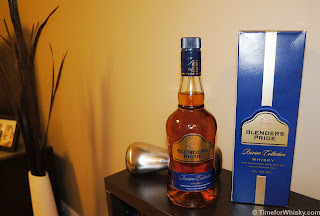 Overall a pleasant whisky, and certainly not bad value at its $37 price point. I gave it 87/100. 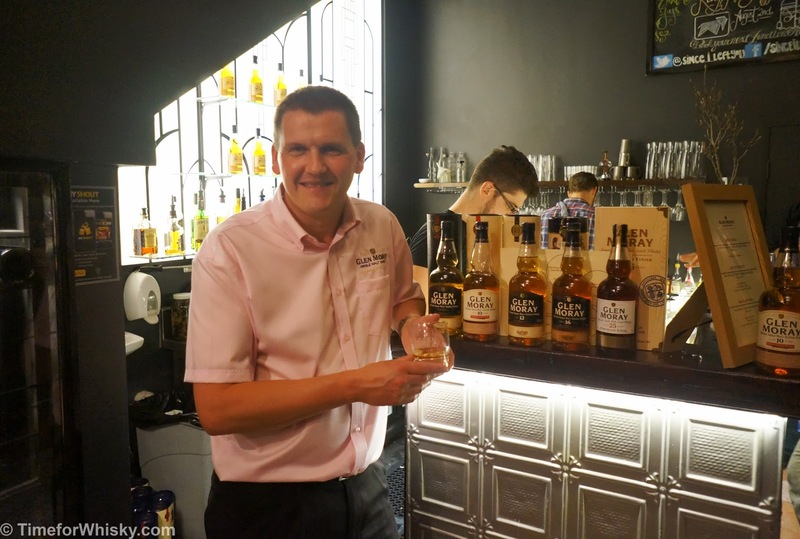 Graham then took some time to tell us a bit about the distillery (owned by French company La Martiniquaise) and his history with Glen Moray, where he's been manager for the past 8 years. Demand has been big in recent years, with an additional 2 stills soon to be installed. 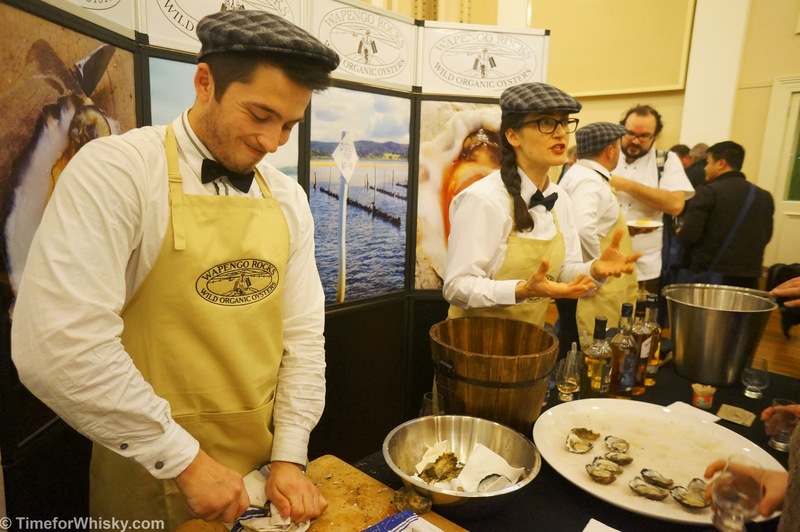 Interestingly, we Aussies are Glen Moray's second biggest market! The second whisky was the Glen Moray 10yo Chardonnay Cask (40%), which was particularly interesting as it isn't just finished in Chardonnay casks (which themselves are very unique in the Scotch whisky industry), but wholly matured in Chardonnay casks. Whilst I wouldn't go so far to say I noted Chardonnay notes, I definitely noticed tropical pineapple and citrus notes, a smooth, citrusy and slightly oily palate with a slight tang, and a spicy finish. Blue cheese was the match here, which increased the spice and cut through the oily mouthfeel. For a $43 I was hugely impressed. 92/100. Next was the Glen Moray 12yo (40%), finished in more traditional ex-Bourbon barrels and known as the Glen Moray "house style". There was more complexity on the nose than the Classic here, with stronger oak notes but also toffee. Lemon zest was the dominant characteristic on the palate with a slight nuttiness, and a medium-length finish. The matched parmesan increased the spiciness and nuttiness, and I thought introduced a little bit of cajun spice! A great match. 90/100. Last up was the one we were all waiting for (see if you can pick it from the 5 whiskies to the right...) - the Glen Moray 25yo Portwood Finish (43%). Laid down in 1986, aged for 23yo in ex-Bourbon barrels, the spirit was then transferred into Portuguese Port barrels for the remaining years. 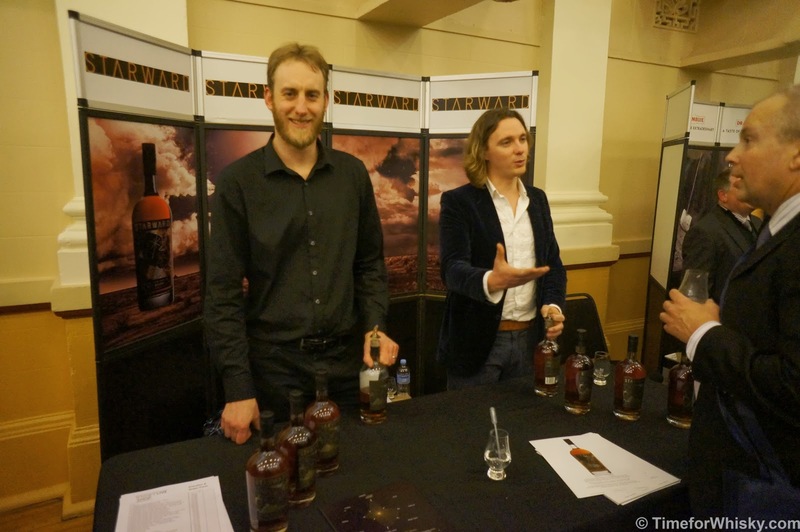 With a dark and rich copper colour, it was clear this was going to be a complex whisky. The nose was sweet - almost with notes of a light sauternes or bortytis. The palate followed this up with a massive hit of sweetness on the tip of the tongue, followed by vanilla (that'll be the 23yo in bourbon then) and sweet madeira notes. The finish went on and on, with continuous waves of delicious sweet notes coming back. Matched with a 36 month aged gruyere, this was an incredible end to the tasting. 94/100. The 25yo Portwood Finish is limited to 3,482 bottles and retails for $249.99AUD. Graham (who by the way, was incredibly friendly, jovial and knowledgeable throughout the tasting) then took questions, and told us about a few interesting whiskies we might expect from Glen Moray in the coming years (including their "Peated Spirit"which is now at "legal age" of 3yo), and some more interesting wine-matured whiskies including Chenin Blanc and Burgundy finishes, which are 6-8 years old at the moment (so still have some time to go). Having tasted a few cask strength varieties at Whisky Live Sydney the following night, I really hope Glen Moray decide to release a few of these at their natural strength. With the formal part of the tasting over, the crowd mingled over additional cocktails and drams of their favourites (for me, the 25yo and Chardonnay Cask). On our way out, everyone was given a take-home bag, including a full bottle of the Chardonnay Cask - my favourite of the night next to the 25yo! A huge thanks to Glen Moray and DecPR who hosted the event and invited Time for Whisky as a guest. 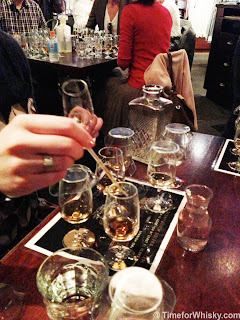 A change in direction in July for Scotch Club - and a welcome one at that. 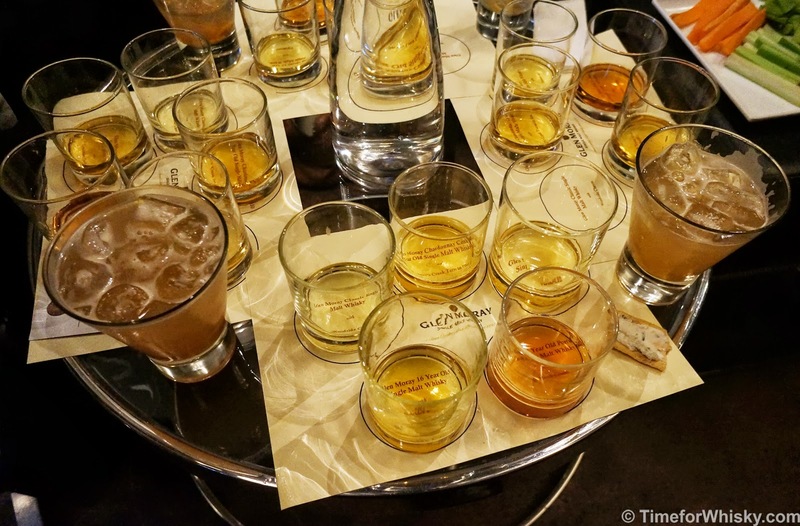 Shirt Bar, along with William Grant & Sons presented a single Whisky (Glenfiddich 15yo Solera), deconstructed into its individual parts. Glenfiddich New Make (65.6% ABV): Chewy, with a big warm mouthfeel and bubblegum notes. Add some water and you get notes of sugarcane. Smooth throughout with absoutely no "burn". 80/100. American Oak - used (59.2%): Light colour and light on the palate. Vanilla, apricot. 90/100. American Oak - new (3-6 months) (58.8): This one had spent some additional time in new American oak, and was all the better for it. I have no hesitation in saying this was one of the best Glenfiddichs I've ever tried. I just wish they'd bottle it! Rich and dark in colour, with an amazing sweet nose and creamy sweet palate. Reminds me a little of the Yamazaki Bourbon Barrel, one of my favourite whiskies. Fantastic. 94/100. Spanish Oak - used (59.2%): Dark, spicy with an intense sherry sweetness. Huge mouthfeel with the peppery spice lingering to the end. 92/100. Solera vat cask strength (59.6%): I'd been lucky enough to try this one once back in 2009 (albeit slightly more "fresh" as it was direct the vat on the Glenfiddich tour). That was a great experience and whilst drinking it from a bottle wasn't quite the same, the whisky itself was just as good. James explained that the final vatting contains about 65-70% of used American oak-aged Glenfiddich, with the new American oak and Spanish oak making up the remainder. The bourbon notes were definitely there, but slightly muted. Sherry was evident on the palate, but the finish showed more bourbon influence. 91/100. My own blend: Sherried, and extremely dry. Spicy too - obviously too much Spanish oak in the mix! My own blend (attempt #2): Still dry, though with a sweeter more vanilla finish. Not a bad effort if I do say so myself. 90/100. 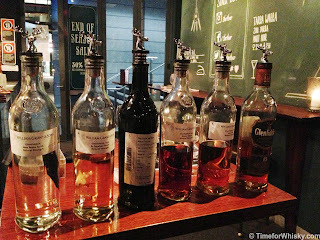 Glenfiddich 15yo Solera (original bottling, 40%): The one we can all buy. To be honest, whilst it's a great whisky, after trying all the components (and my own blends) as cask-strength varieties, the OB at 40% felt a bit lacking. 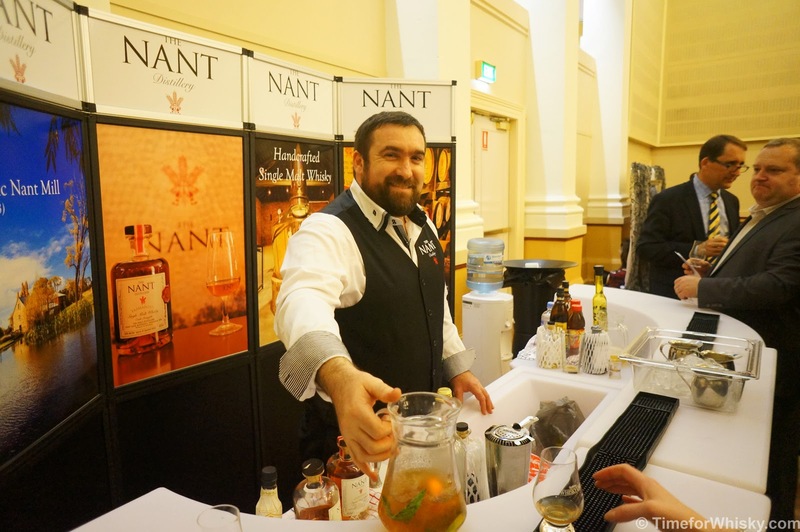 The same notes as the cask strength Solera vatting were there, perhaps with a bit more fruit, but it all felt a bit watered down. A great dram, but not one to drink after a night of cask strength whiskies! James finished the night with a great trick I've seen him do once before - carefully pouring whisky into a glass of water through a tea towel. Why? Because if you do it right, you get this effect to the left! ..and on that note it was time to close out another Scotch Club (not before the usual generous and delicious cold cuts platter). 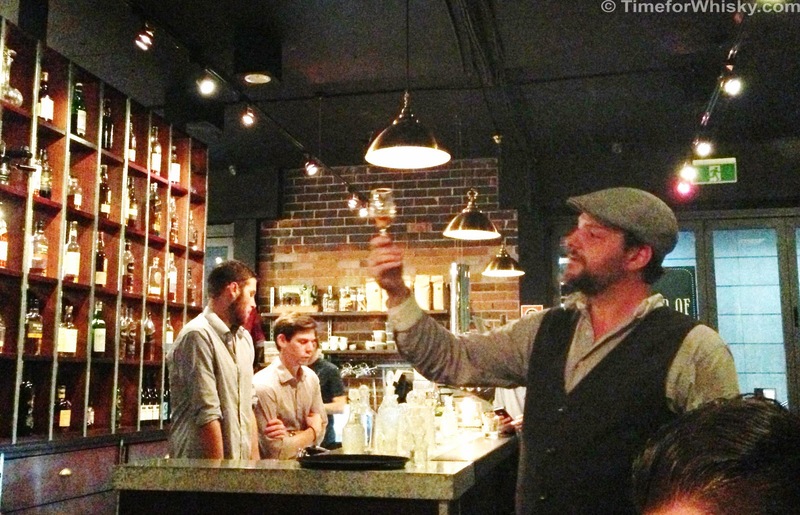 We like this new direction for Scotch Club, and hope to see more like this in the future. As mentioned earlier this week, this Friday-Saturday was Sydney's turn to host Whisky Live 2013, held at Paddington Town Hall in Sydney's East. Whisky Live was supported by Dan Murphys (who ran part of the show's retail shop and who recently released a surprisingly good Whisky Guide - see here for our good friends at D.T.W.C's thoughts on it), where certain whiskies could be purchased on site at quite competitive prices (which, given Dan's regular pricing, made for some very nicely priced whiskies). 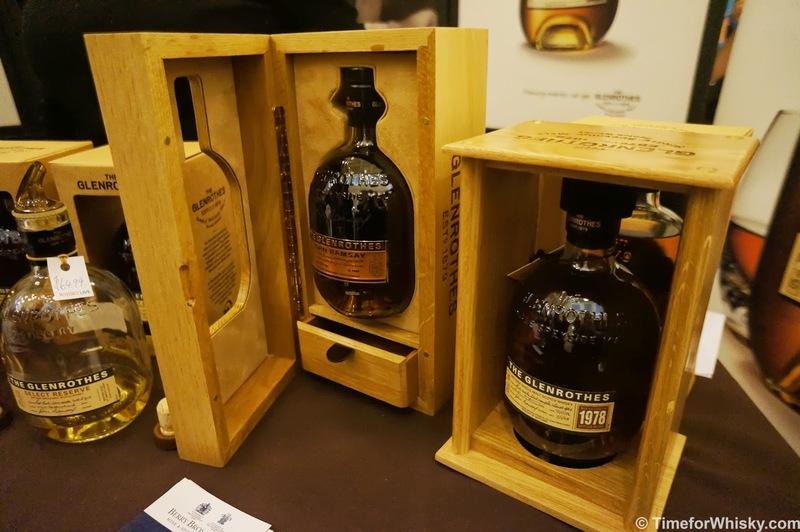 The show had over 100 whiskies on tasting - from regular favourites like Balvenie and Jack Daniels to not often seen whiskies like Blantons and Glengoyne, right through to Penderyn, Finlaggan and some interesting rare small-batch bourbons. Blantons Original Private Reserve (single barrel - I've seen this a hundred times at Dan's but have always glossed over it. It's very good, and as it turns out, was the brainchild of Elmer T Lee (RIP)). Starward (the latest batch just bottled earlier this week is even more impressive than our original tasting). Finlaggan Old Reserve - Medicinal but not to the extent of a Laphroaig 10yo, with an ashy palate that carries right through to the finish. I still think it could be Caol Ila (91/100). 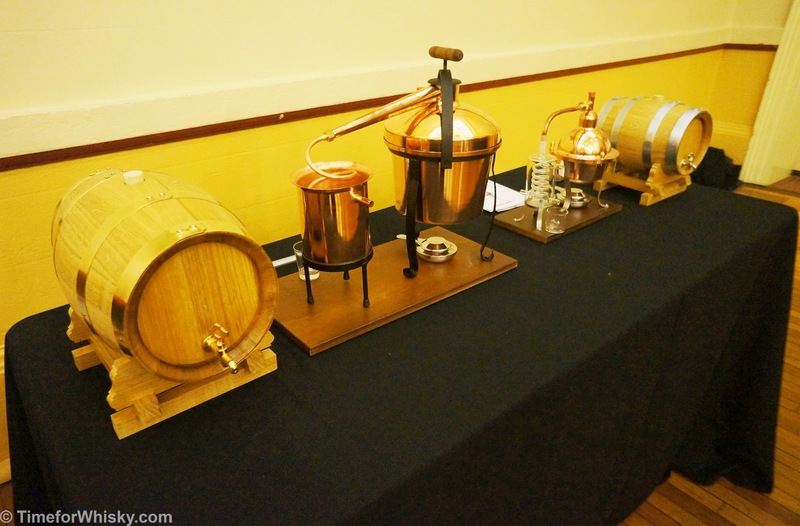 I also tried the cask strength but preferred the regular. 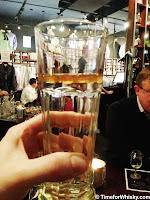 Penderyn Madeira cask - I wasn't a huge fan. I got some peat smoke and plenty of seawater, but also hints of youthfulness and styrene. Not terrible but not one I'd rush out and buy (82/100). Amrut Single Malt - Reminded me of a light Speysider, or even a Lowland/Campbelltown whisky at first. Fruity and light, and reasonably youngish, but with a spiciness on the palate and a big spicy finish (90/100). Laphroaig Càirdeas (2012) - Minimal peat on nose the nose, but a big ashy hit on the palate, with less medicinal notes than expected from a 'phroaig. Fruity notes on the palate and finish too (92/100). Grants Ale Cask - Interesting this one. Very smooth for the price ($38AUD), and very light. Would make a good beginner's whisky. Not much in the way of complexity, but you can't expect much for $38. Some light floral notes and a short to medium finish (88/100). 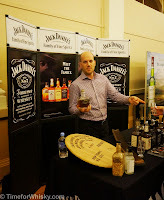 There were plenty of familiar faces around, including brand ambassadors and sales managers for Brown Forman, Think Spirits and William Grant & Sons (and special mention should go to Glen Moray's master distiller Graham Coull, who's recent exclusive Sydney tasting we'll post up shortly). 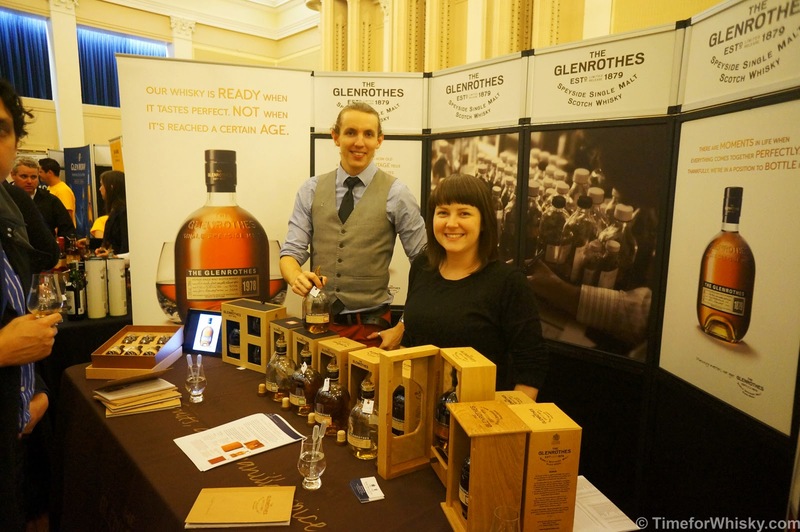 A lot of the stalls however were staffed by Dan Murphy's staff, and while most knew a reasonable amount about whisky, it was clear that a few had only just learned about the products they were offering, and couldn't really discuss any details beyond what was on the label, which was slightly disappointing. 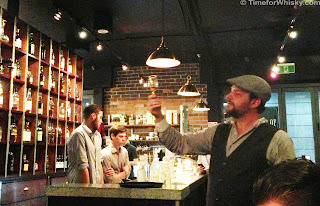 Overall the show was enjoyable, offered a good selection of whiskies and very competitive bottle prices. 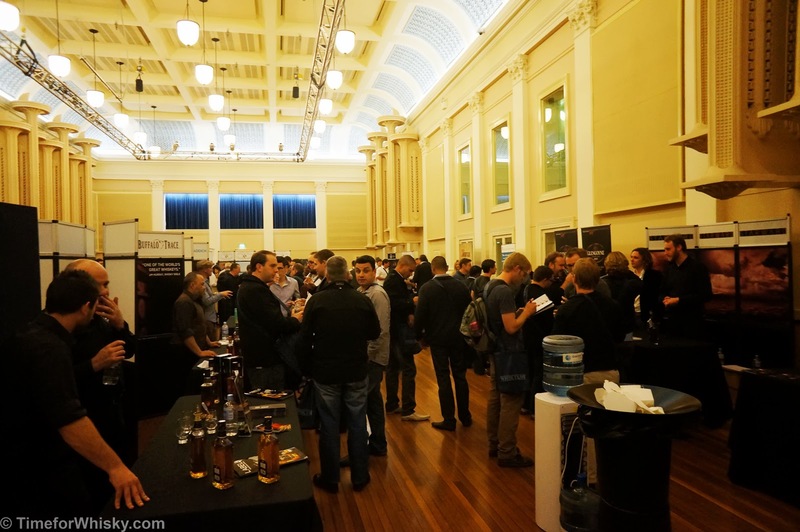 The only question in my opinion is the price - with Sydney's other whisky shows being $28-$60 per ticket (albeit without the comprehensive food offerings at Whisky Live), is Whisky Live worth $95 per ticket? I guess it really depends on how much you like whisky, and if the range includes ones you're really keen to try. Time for Whisky attended as guests of Whisky Live.